This is just a recording of history. Some of the older ones of us will immediately see the red plastic, water proof mittens on the little fella’s hands along with the buckle galoshes on his feet. I can still smell and feel those mittens today looking at the photo. His Dad, standing out of the picture, was also wearing some new wooden downhill skis with sharp wooden edges to trek over the the farm buildings. Those skis were to allow for the milking to be done on those days when the truck could not make it. There was a back road that led over flat ground to reach the barns. Behind the Dodge was the track that went to the end of the fence line to turn the corner at this gate post. When I walked to Ostend School I would set out on a diagonal to the right until I got to Highway 120 to cross pastures and fields. I would hike the highway the rest of the way. 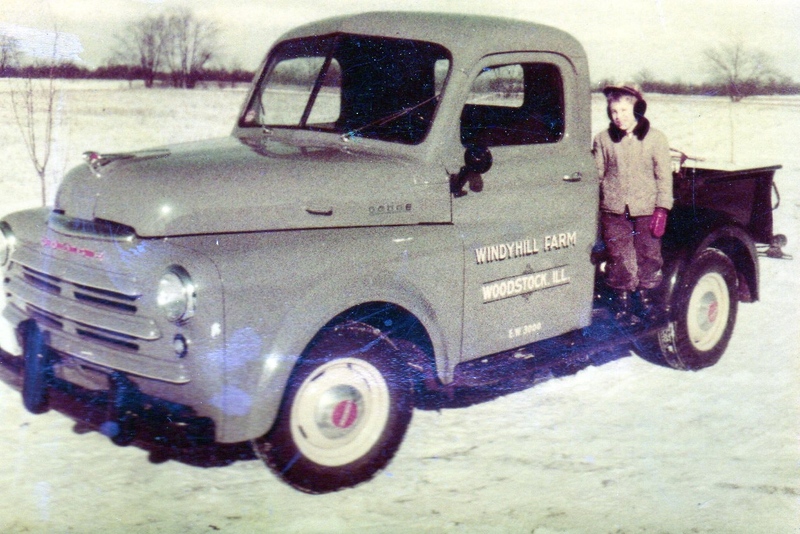 The picture of the truck was taken about 1950 with a Brownie. 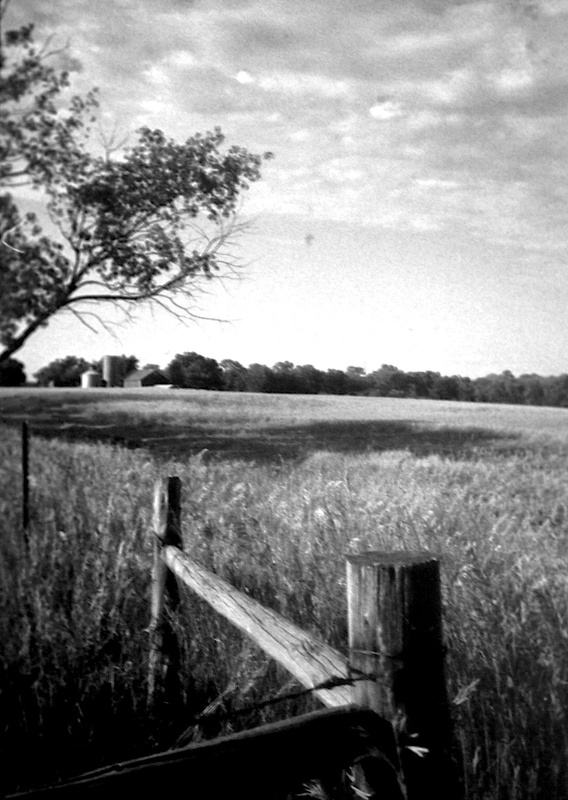 The more contemporary photo of the oat field was taken in 1962 with my new Minox B.